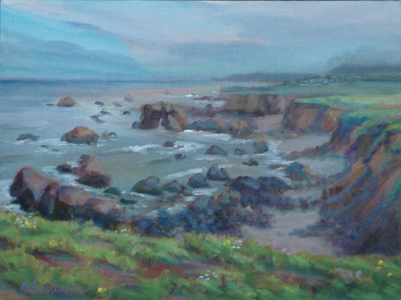 PLEIN AIR DAY TRIPS - $50 - We leave early, arrive, paint, have a picnic or go to lunch, paint again and go home. You are welcome to join us just for the day trip of photos & relaxation even if you aren't painting. The first 3-5 people can ride with me. Museum ticket cost is not included. Non-artists are welcome! Day Trips: $25 with 2 week or more RSVP. $35 within the week. The first 3-5 people to sign up can ride with me. A deposit is required to hold your seat. I will need to order the tickets for the Legion of Honor in advance, so the ticket fee will also need to be sent at the time of registration. 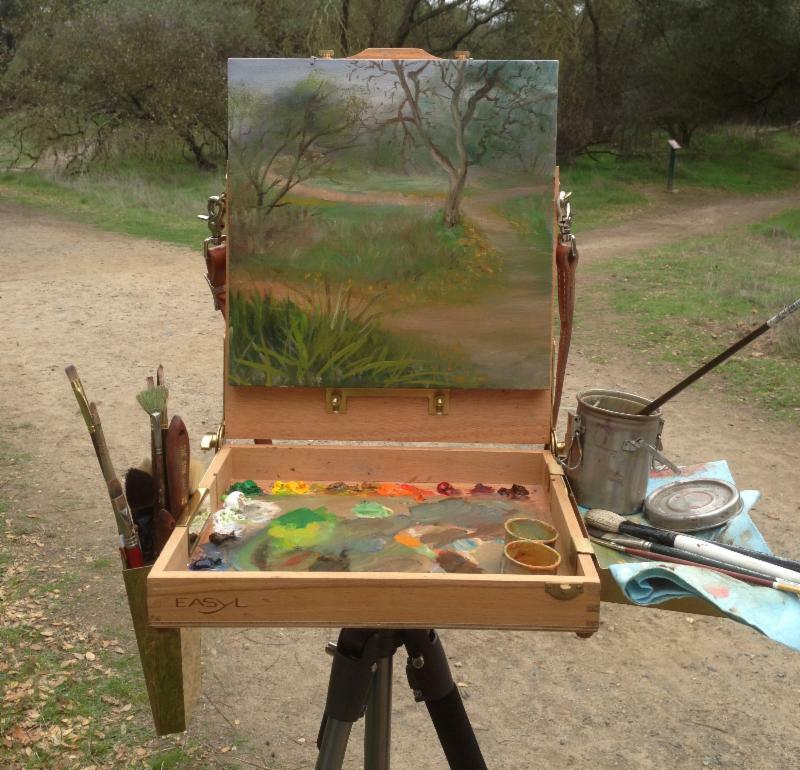 LOCAL PLEIN AIR - $20 8:30 - NOON is a typical schedule. I announce the meeting time and place on a personal email. The dates are spread out throughout the year on the weekends that I am not teaching workshops. So be sure to contact me and let me know if you are interested in going. Come join me while I am painting out in the fresh air. 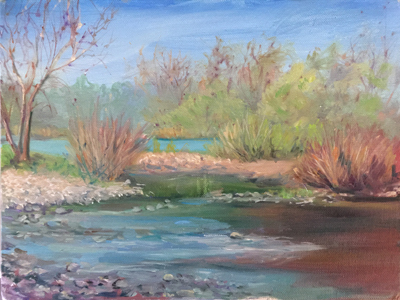 You can paint along side of me and watch as I create plein air paintings. If you want my advice, I will be more than happy to help you through the experience. If you just want company to paint with, you are welcome too.